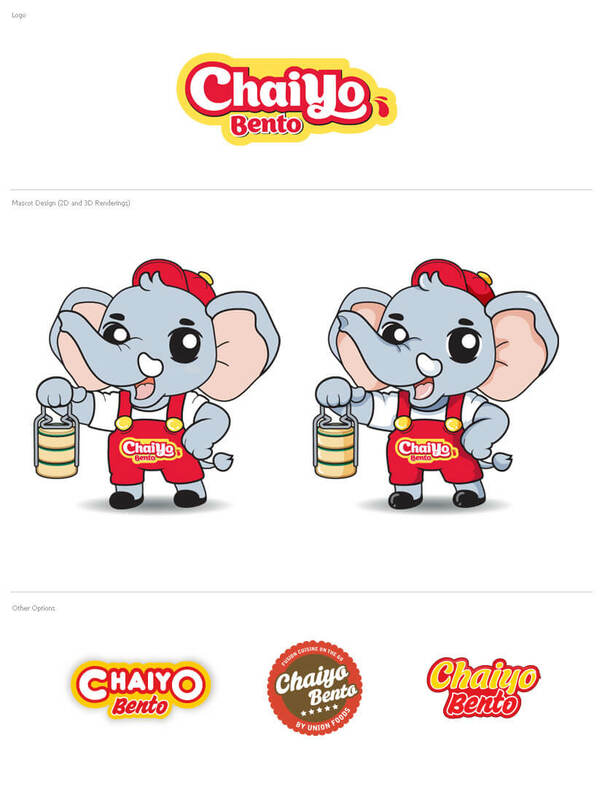 Chaiyo Bento is a 'fast food' style restaurant concept that would launch worldwide with a focus on Asian and Thai food. The client wants to highlight the meaning of the word "Pinto" which is a Thai word for a traditional food container. However, for the oversea market, the word was changed to a more familiar Japanese word of "Bento" so that people would know right away that it is food related. The elephant was an easy choice to represent Thailand.